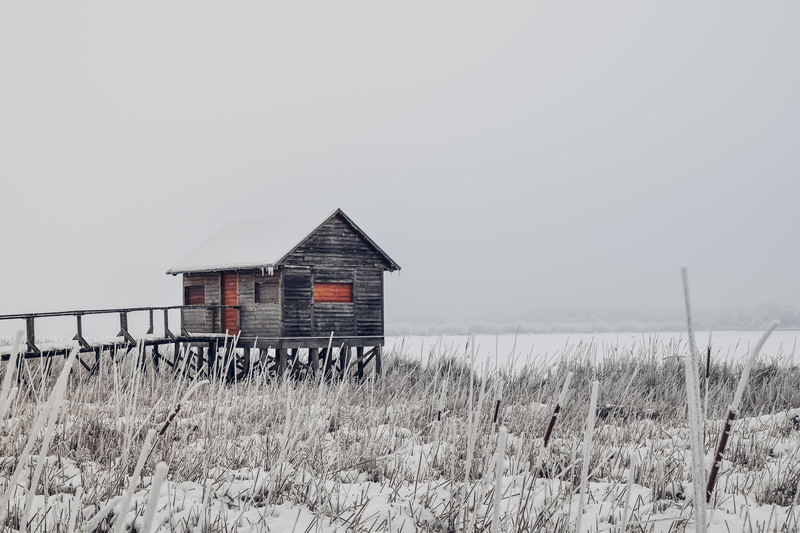 So you couldn’t sell your New England property during the Summer and the Fall has so quickly turned into Winter that any chance of sale becomes suddenly remote. It happens, even to the best homes, the most reasonable homeowners, and the most professional realtors if the sale is handled by a real estate agent. You may have withdrawn the property from the market waiting for a fresh listing in the Spring, or you may want to try and sell it even in the least popular season for home buyers, as not many want to move in the cold, icy and snowy Winter months. In either case, unless you’re occupying it, an empty home is always a concern, but much more so in the cold weather. If you leave it heated normally, you shouldn’t have most of the worries, but furnaces and heaters can fail and without someone who can detect the issue promptly, you’re back to an unheated home in cold temperatures. One of the most obvious dangers is a frozen pipe; with water inside thin and very conductive copper pipes, they can freeze and burst, causing a leak to flood and cause massive damage, especially if not taken care of quickly. If the pipes are of some plastic, like PEX, there’s slightly less of a chance, but especially fittings can giveaway under the expansion of ice inside. Any other container of standing water poses a risk, think about toilet bowls and tanks, water traps and decorative fountains, pools both indoors and outdoors. The best that can be done to prevent water from freezing is to remove it by shutting of the water mains or water valve is as close as possible to the entry. Then drain all faucets, especially the ones at the lowest point. Also remove water from all other containers, possibly not from the toilet bowl if you don’t want unpleasant sewer gases to back up into the home as the water evaporates from the bowl trap. You can seal it with saran wrap. Appliances also may contain water, like in washing machines and dishwashers, and those need to be drained also. If necessary and where opportune, antifreeze can be added to reduce the dangers. Leaks can develop as you turn the water back on, as the seals can dry up and crack, but in that case it would probably be detected much more quickly, so it’s a reasonable risk. Water may be left in the system, could be blown out by applying air pressure, but if the mains are shut off, at least there will be no pressurized water in the system to push through the opening cracks and any leak would be in much smaller scale. Aside from water problems, another issue in a vacant property without heat in very cold temperatures is condensation. As the coldest and usually most remote areas tend to allow moisture to accumulate in the form of condensation, local issues can be very significant. especially if it’s an old home, the lack of efficient insulation, cracks and other ways for the colder outside temperature to penetrate could be issues even in a heated problem. Issues could be further enhanced by the lack of ventilation, air circulation and replacement due to the lack of heat or very little heating, the regular presence of which would allow much more movement of the air inside the rooms; even more so if no humans are entering and exiting on a regular basis. The obvious fix to all the above problems is human presence and regular heat, however the former may be impractical and the latter may turn out expensive, especially with less than efficient heating systems. So if you were selling a house which didn’t sell in time for the cold season, which in Massachusetts this year hit us earlier than many wanted or expected, after some days of very mild weather, figure out if you want to take the property off the market and winterize it so it can be quickly put back up for sale when the market regains some traction in the much more favorable Spring season, or you want to keep it move-in ready condition, monitored effectively, and therefore still attractive to a rare potential Winter buyer, possibly achieving the sale that wasn’t possible in the better season. An even more obvious fix, if known, would be to really sell it; if it failed on the conventional market, either through a listing with a realtor or via FSBO (For Sale By Owner), there are other ways and we, at Proxima Investors, may be interested and able to acquire the unsold property, at the full listing price, sometimes even more, with ZERO realtor fees, as we are private investors, not realtors, especially for move-in ready homes which are family friendly, like single family homes with 2 bedrooms or more and 2 bathrooms or more. We buy on terms, which may or may not work for the seller or the property, but if it works out, we can take over very quickly and we can resell it regardless of the season as we target buyers from a much larger pool of very motivated people looking at buying in a lease purchase/rent to own deal with us.